This is an exciting and unique offering just metres from the sands of Brighton Beach. An opportunity to purchase 6 residences with a combined gross rental return of approximately $120,000 p.a. Offering a mix of two, three and four bedroom residences in a variety of sizes and floorplans (ranging from 70sqm to 204sqm approx.) 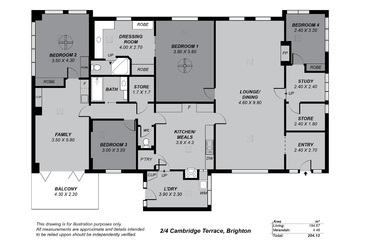 including two street facing residences and four rear units, each with allocated car spaces. Zone Residential (Medium Density Policy 5) with a total land area of approx. 1,148sqm, a 23m frontage to Cambridge Terrace, and right of way access from Cedar Avenue - this is an exciting opportunity for the savvy investor or developer. 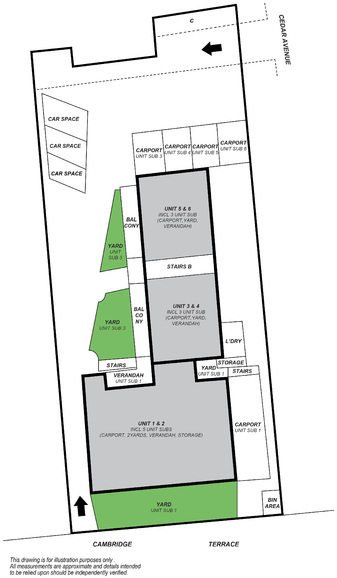 - Floorplan sizes range from 70sqm to 204sqm approx. Please contact the agent for more information and to arrange a site inspection.